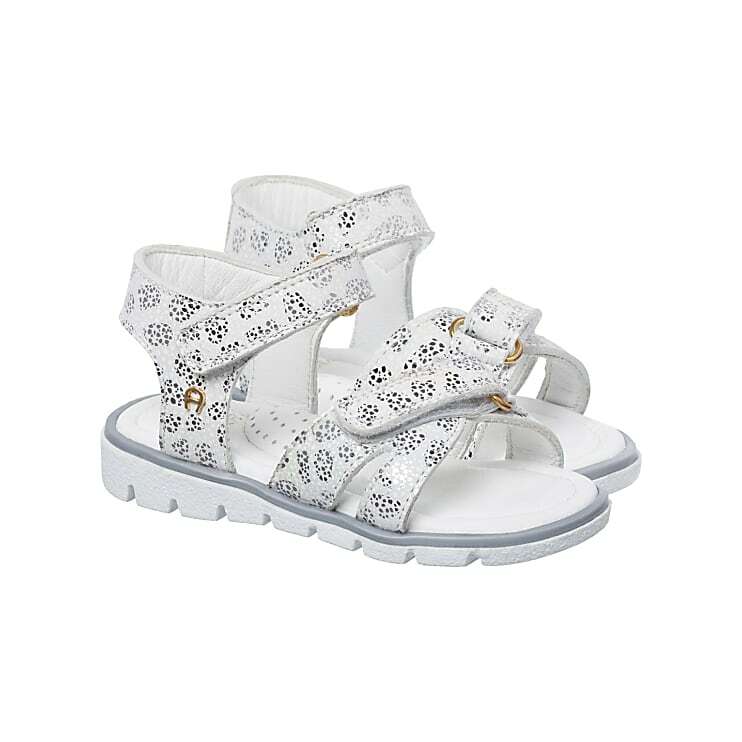 The Sheila is a very popular children’s fashion sandal made of shiny calfskin. Two velcro fasteners not only make it easier to take the- stylish summer sandals on and off, they also make is easy to adjust the individual fit. A soft footbed and the flexible outsole make it perfect to wear.